Looking for something to do this weekend? Every third Saturday of the month, the Nocatee Town Center hosts a local farmers market with a unique theme. On Saturday, October 18th, from 10:00 a.m until 2:00 p.m, residents and community guests alike are invited to the Fall Festival and Nocatee Farmers Market. The monthly markets include over 80 local vendors and food trucks selling a wide-variety of fresh produce, crafts, jewelry, herbs, organic foods, crafts and more. Don’t forget to bring your camera to this Nocatee event, there are always a variety of special photo opportunities available. 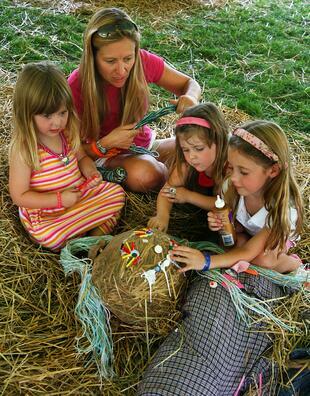 These and many other events are loaded with activities that are interactive and fun for whole family. Want a snapshot of the Nocatee Farmers Markets? Check out the "NocateePonteVedra YouTube channel" to see video footage from last year’s Fall Festival and Nocatee Farmers Market.